Sao Paulo is vast - with over 20 million inhabitants it's one of the biggest cities in the world, in fact it's the seventh largest city in the world, and the largest in the whole of the southern hemisphere. That's quite large when you consider the competition it's up against. What can be quite a daunting city, is in fact a vibrant, friendly, exciting hub of action, with countless hidden treats for the most adventurous of travellers to stumble upon. The city has hundreds of art-house cinemas, and experimental theatres, all of which show daring, and unique productions. Sao Paulo is also known across the world for its incredible cuisine - gourmet restaurants, smart bistros and street vendors all have something individual and unbeatable to offer. There are thought to be around 12,500 restaurants, each offering their own take on world food - 52 different types by the last count. The different areas of the city all have trendy coffee shops and bars, and Sao Paulo has a 24 hour, seven days a week clubbing scene, to keep even the most-hardened party veteran from getting bored. 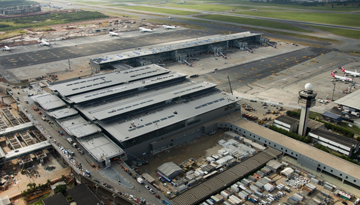 Lufthansa offers a flight to Sao Paulo from Heathrow for £749 return economy, include taxes. 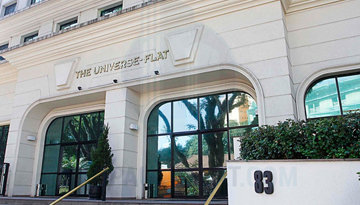 Universe Flat Sao Paulo providing a large spacious rooms with cheap & Great location. 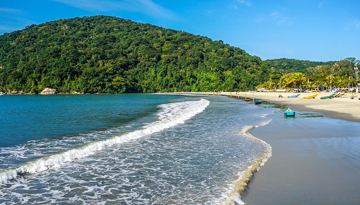 Fly from London - Sao Paulo & Stay for 3 nights with 4 star accommodation. Room only.